Tamar Braxton Releases "The One" Video + Tamar, Adrienne Bailon & Tamera Mowry SIGNS ON To Host New Talk Show, "The Real!" With her "Love & War" single snagging the no. 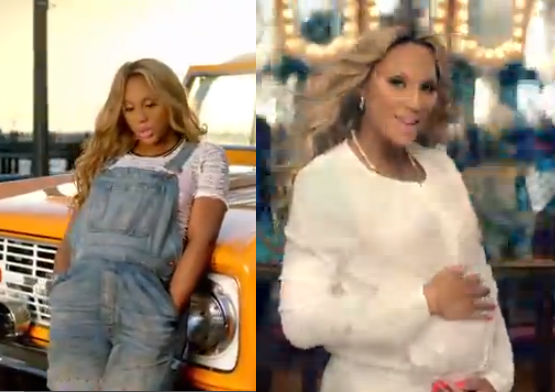 1 spot on the Urban AC National Airplay charts this week, pregnant "Braxton Family Values" reality star Tamar Braxton recently dropped the visuals for her latest single, "The One." 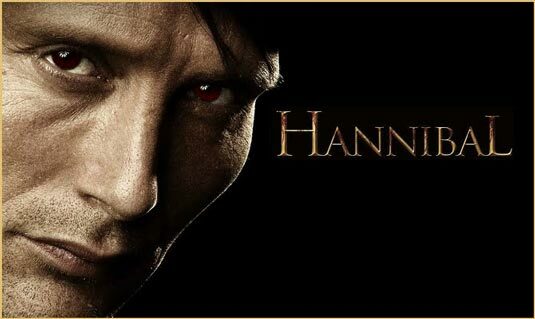 Mads Mikkelsen Stars in the Upcoming NBC Series Hannibal! Huge fans of the award-winning suspense film “The Silence of the Lambs” and “Hannibal” have something to watch out for on April. Producer Bryan Fuller, creator of smash hit series “Heroes” and “Pushing Daisies”, brings this psychological thriller on television. He chose Danish actor Mads Mikkelsen to portray the role of the infamous serial killer in the new NBC series Hannibal, which is set to air its first episode on Thursday, April 4. Copenhagen-born actor Mikkelsen became famous worldwide for his role as Le Chiffre in the 2006 action thriller Casino Royal. One of the most exciting scenes in this James Bond film series is the poker tournament between Mads Mikkelsen and Daniel Craig. Film producer Michael Wilson, who is an avid poker player, supervised the actors’ poker lessons so the scenes would look more authentic. Years ago, the only way to learn poker is by using playing cards and competing with other people. Because of today’s technology, anyone can play poker via Partypoker using their laptop or Android device. Poker is quite popular in Denmark, that’s why Mikkelsen looked so natural in his role. There are many excellent poker players born in this country including Gus Hansen and Peter Eastgate. If you want to become a successful poker player like these two pros, then keep on playing at Partypoker. You might end up winning a serious amount of cash, just like James Bond in Casino Royal. After showing off his superb acting skills in Casino Royal, Mads Mikkelsen has caught the attention of many film producers. He later on starred in several big-budget movies like “Valhalla Rising”, “Clash of the Titans”, and “The Three Musketeers”. Mikkelsen received the Best Actor Award in the 2012 Cannes Film Festival and was nominated Actor of the Year in the 2012 London Film Critics Circle Award for his portrayal in the Danish drama The Hunt. Let the mind games begin on April 4 by tuning in to Hannibal, which stars Danish actor Mads Mikkelsen alongside Laurence Fishburne and Hugh Dancy. This NBC series is directed by David Slade of “The Twilight Saga: Eclipse”. Khloe Kardashian On Set Of "Real Husbands of Hollywood" + "RHH" Gets Renewed For A Second Season! Yesterday, fan fav and reality star Khloe Kardashian was spotted on set filming the upcoming season finale of BET's "Real Husbands of Hollywood" with Boris Kodjoe, Wanda Sykes, Kevin Hart, and Tisha Campbell along with her mom Kris Jenner showing her support. Tahiry, Bow Wow, Jennifer Williams, Adrienne, Tatyana Ali, Damien Wayans & More At The 'Real Husbands of Hollywood' & 'Second Generation Wayans' Premiere Event! Last night, the BET Network hosted their premiere event for the "Real Husbands of Hollywood" and "Second Generations Wayans" at the SVA Theater in New York City with Jennifer Williams, Bow Wow, Ms Mikey, Adrienne Bailon, Damien Wayans, Tahiry Jose, Tatyana Ali, Po Johnson, Chris Spencer and more in attendance. 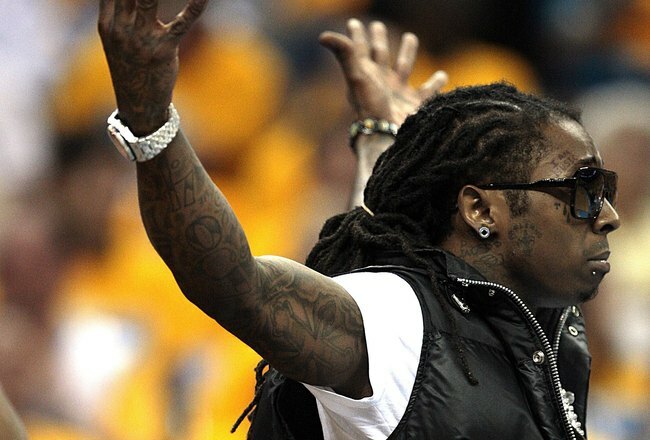 Rapper Lil Wayne has reportedly paid off his back taxes totaling $7.72 million-- stemming from 2008 and 2009. According to reports, the 30 year-old Young Money rapper owed $3.35 mil in back taxes for 2008 and $2.25 mil for 2009 which included reoccurring late fees dating back to 2002 with a placed liens on his 15,000 sq. ft. Miami Beach Mansion on La Gorce Island after he put down 11.6 million on his crib last September. 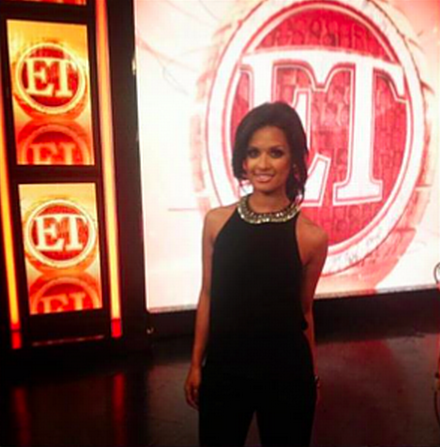 Rocsi Diaz LANDS New Hosting Gig At "Entertainment Tonight!" Former "106 & Park" host Terrence J isn't the only with a new gig in the entertainment industry after saying goodbye to the hit BET show. As his former co-host Rocsi Diaz just confirmed her new gig at "Entertainment Tonight" where she will be the new correspondent. R&B Singer Monifah EXITS THE CLOSET On New Reality Show! 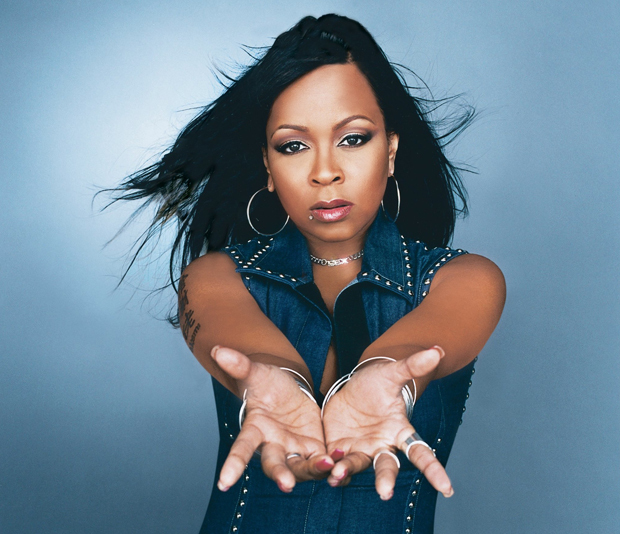 The R&B singer Monifah, who is currently filming R&B Divas reality show for TV One, with other singers from the 90′s including Faith Evans, Nicci Gilbert, Syleena Johnson, and KeKe Wyatt, is coming out as a Lesbian. According to reports, there's a lot of drama already, including where Monifah and her daughter disagree about Monifah’s life partner who happens to be another female. Who knew the chick was playing in the lady pond??. Deion Sanders & Tracey Edmonds CONFIRMS New Reality Show! Deion Sanders and Tracy Edmonds has confirmed to "The Insider" that they are currently working on a reality show together. Deion and Tracey, who runs her own production company, say the show will focus on Deion's life and it will explore the drama with Pilar Sanders. Well....we already know how Pilar's going to come across in the edit suite. Recap: Vh1's Mob-Wives Chicago Is Off To A Bad Start! Friendships always turn out into a conflict, when cameras are placed on friends i guess. “American Idol” is in its second season and winding down to the finale, as one of the judges is saying that she may not be back for a third. "Basketball Wives" Stars BOYCOTTING Reunion Show OVER Jennifer Williams' Lawsuit! Evelyn Lozada & Chad Ochocino Battles Over Wedding Plans! "Basketball wives" star Evelyn Lozada is saying that she and finance Chad Johnson are battling over their wedding plans. The couple is set to get married later this year (Summer) and it seems that the pressure of having the ceremony screened on their upcoming VH1 reality show has led Chad and Evelyn clashing over how to make it a wedding to remember. More details below..